We are proud to report that at the 13th Annual ILWU-PMA LA Harbor Boys and Girls Clubs fundraising luncheon in June, we were able to raise a record $100,000+ for the kids of the LA Harbor community. The Boys and Girls Clubs support our community’s children with physical and educational after-school activities. A very important support program is called “College Bound,” which has a very high success rate of its graduates going on to college and obtaining degrees. Below is a picture of Local 63 President, Joe Gasperov, with a recent College Bound program graduate who has now been accepted into the University of California system. 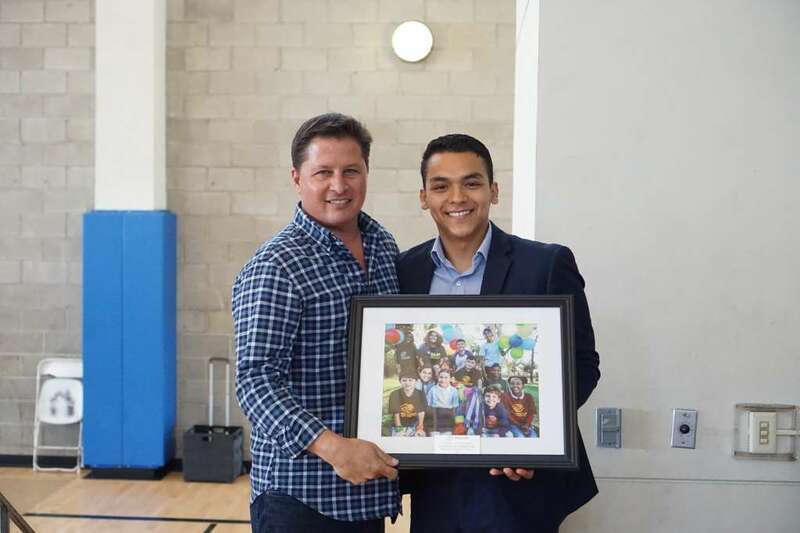 Local 63, as one of the key sponsors for this annual fundraising effort each year, receives an art piece from one of the Boys and Girls Club youth artists. Thank you for your continued support of this important program to support our community’s children, the workers and leaders of the future.